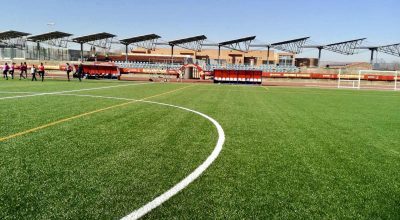 World leading synthetic turf manufacturer CCGrass announce the introduction of the new PRT® series backing system. 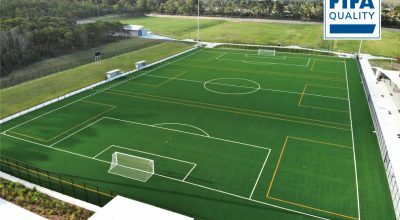 To address a problem that has vexed companies for so long, world leading synthetic turf manufacturer, CCGrass, has developed, tested and now introduces a new backing system into its product range. The PRT® series allows customers to install new turf that, thanks to a specially designed backing material, means the entire carpet is now fully recyclable. At the same time, significant improvements in drainage and tuftlock are achieved, whilst the now lighter rolls are easier to transport and move during installation. A real win, win product. Permeable -The PRT® series has been specially designed with porous backing, allowing water to drain through the backing evenly and quickly – 5 times faster than previously. Regular products add drainage holes through the latex or PU coating, and these can easily become clogged, resulting in poor drainage and eventual infill contamination. The new PRT® series also prohibits weeds growing through the back and infill seeping through drainage holes. Recyclable – The entire turf roll, including fibres and PRT® series backing can be easily lifted at end of life before being fully recycled. Tuftlock – Special techniques, employed in the production of the PRT® series backing, ensure individual tufts bond better, creating improved tuftlock. As a result, the PRT® series is particularly suitable for intensive use, whilst also keeping its good looks for longer.